Low-carb snacks are bit of a challenge, especially for low-carb diet beginners. All standard options like sweets, pastries or fruit are high in carbs. 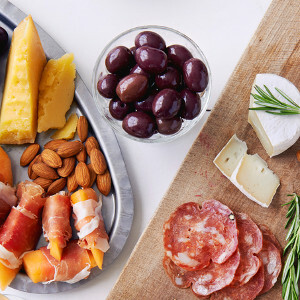 Sure, there are some low-carb foods that make great snacks – for example, cheese cubes, olives or berries. And natural whole foods are better for you than pre-packaged products. But what if you need something portable for when you are out? Or if you are extremely busy and need a quick fix? With a little planning, you can stock up on low-carb snacks in advance. Keep a stash at home for when you may need a quick and easy snack. Low-carb lifestyle is gradually becoming more popular. We are beginning to see products created especially for low-carb and sugar-free diets. But they are still rather niche. You probably won’t find many options in your local supermarket just yet. You could try specialist online shops – there are many great ones – but their product range tends to be limited. Amazon is your best bet for finding everything you want at once. Their offering is wider than that of any local supermarket, including many niche and sometimes downright obscure products. They also offer great deals on delivery (Amazon Prime), regular orders (Subscribe & Save program) and groceries (Amazon Pantry). Here’s a quick list of low-carb snacks you can buy from Amazon. 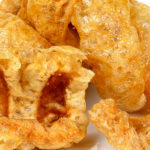 Pork rinds are made from seasoned pork skin. 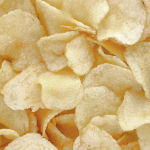 They are crispy and salty, making a great substitute for potato chips. Zero-carb. 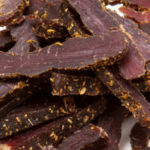 Biltong is a dried meat snack usually made from red meat like beef or venison. Biltong is mostly protein, and some versions are deliberately high in fat, targeting LCHF dieters. 1-2g net carbs per 100g. You can buy nuts anywhere. But Amazon has a huge selection and great deals if you buy in bulk. 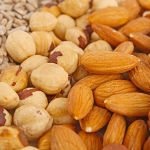 Choose nuts that are high in fat – macadamia, Brazil nuts, walnuts. Avoid cashews and chestnuts. 2-4g net carbs per 30g. 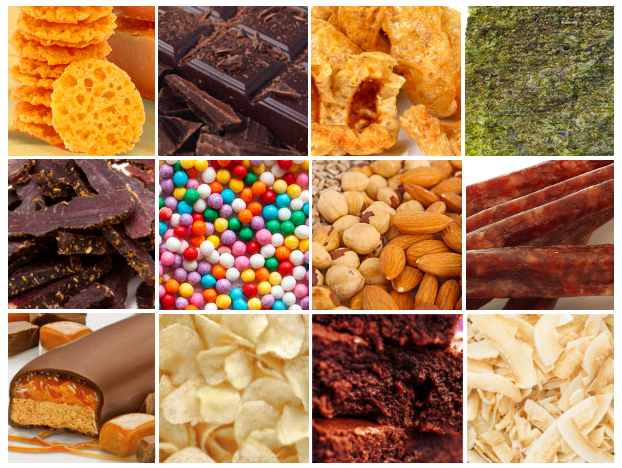 Protein chips are made from low-carb ingredients like whey protein and psyllium husk. They come in a range of flavours, for example, salt and vinegar, BBQ, cheese and onion. 3-5g net carbs per pack. Meat bars? Yes – it’s a thing! Inspired by pemmican – energy-dense food for cold climates. Avoid meat bars with dried fruit – it’s naturally high in sugar. Opt for versions with dried berries. 2-6g net carbs per pack. 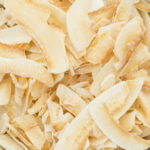 Coconut chips are basically flavoured roasted bits of coconut. Go for savoury flavours, like salt, pepper and spices. Sweet flavourings like caramel will most likely have added sugar. 4-6g net carbs per pack. 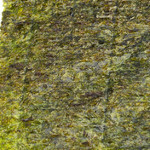 Seaweed used to be a novel food, but not anymore. This true superfood is naturally low in carbs and very high in vitamins and minerals. Dried seaweed, as sheets or loose, makes a great low-carb snack. 0-3g net carbs per pack. 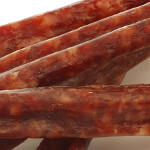 Meat sticks are very thin salami sausages or jerky sticks, jazzed up with spices and flavourings. Most meat sticks are almost zero-carb, or about 1g net carbs. 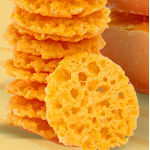 Genius idea – thin slices of cheese, roasted to crispy perfection. Crispy and moreish like potato chips, but with lots more flavour. Great on their own, or with spreads or other toppings. Zero-carb. 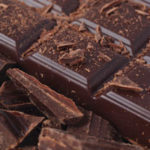 Chocolate is perfectly acceptable on a low-carb diet – if it is sugar-free. The best sugar-free chocolate bars are sweetened with Stevia and/or erythritol. Carb count: 2-5g net carbs per bar. 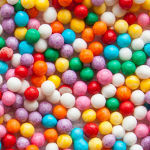 There is plenty of sugar-free candy on the market. It’s ok in moderation, but they tend to be sweetened with cheap polyols like mannitol or sorbitol – known for their strong laxative effects. 0-2g net carbs per pack. Another type of specialist low-carb snack is low-carb candy bars. Atkins Nutritionals were the first company to do this. 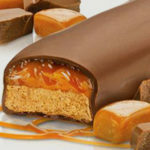 Their range of bars is now very wide, including low-carb approximations of mainstream favourites like Mars and KitKat. In recent years, many other brands jumped on the low-carb bandwagon. 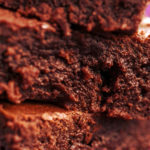 Generally, low-carb bars include many highly processed ingredients. They don’t work for everyone – some people report higher blood sugar and interrupted ketosis after eating low-carb bars. But others find them a safe and delicious treat. Try them out and see whether they work for you. Carb count: 2-5g net carbs per bar. Did we miss out anything obvious? Do you have any other ideas for low-carb snacks that you can buy? Please share in the comments below. Do you need supplements on your low-carb diet?